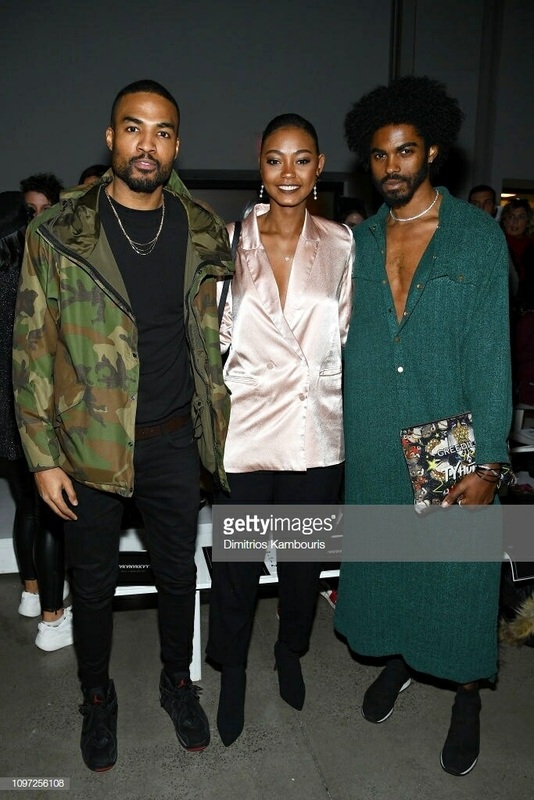 Actor Shannon Wallace, who plays Private Nate Barker on BET’s “American Soul”, made his rounds at this year’s NYFW Mens and NYFW AW19 sitting front row at Grungy Gentleman, talking actor life with Broadway legend Billy Porter and paying respect to another industry titan, costume designer Ruth E. Carter at the Harlem’s Fashion Row/IMG presentation in her honor. See below for some of the best shots from the week. Watch Shannon Tuesdays at 9/8C on BET in “American Soul”. And if you want some BTS on the crazy life of an actor follow him on Instagram at @shannondotwallace - his IG stories are the best!